The Shenandoah Valley stretches 200 miles across the Blue Ridge and Allegheny mountains. It is often referred to as The Big Valley and has been immortalised in song, dance, film and television. The valley is home to nine counties and ten cities, one of which is our new home of Winchester. It is an area rich in fertile land, stunning scenery and has an important place in American history. A short drive from our house you will find a museum dedicated to showcasing the art, history and culture of this great valley. 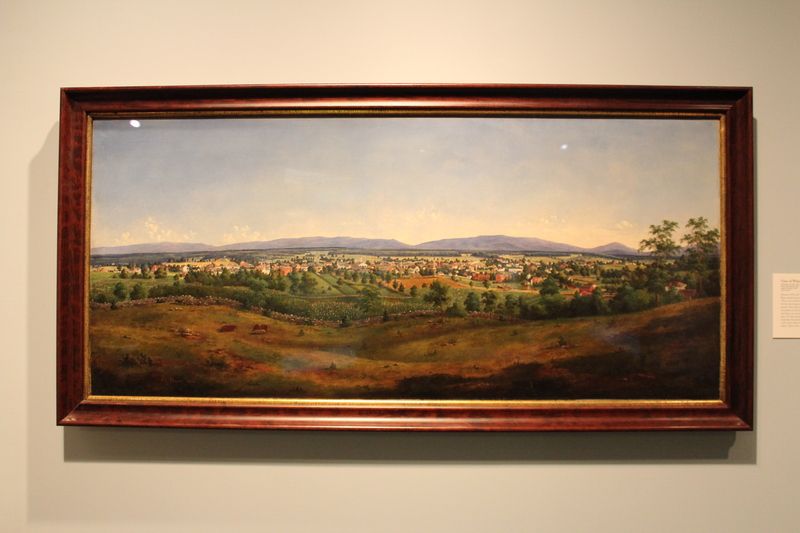 Museum of the Shenandoah Valley. 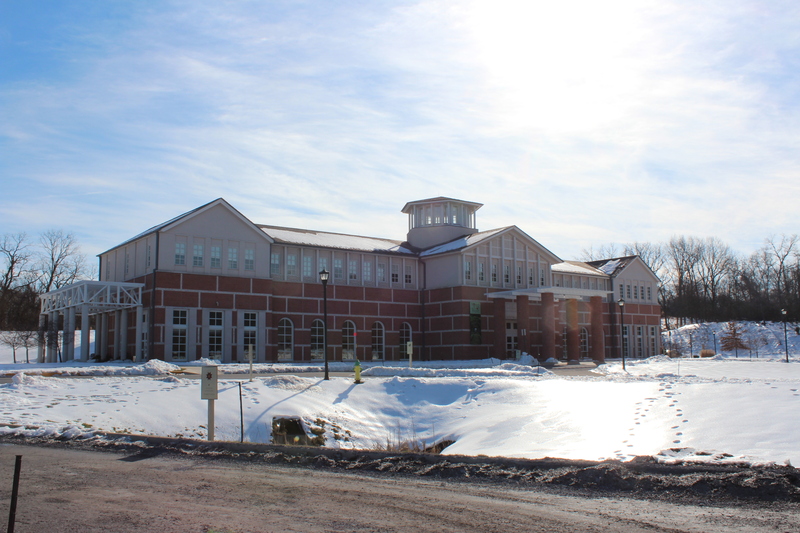 In recognition of this area’s agricultural history, the building is designed in the style of a barn. The museum is made up of the building above, six acres of gardens and historic Glen Burnie House which dates back to the 18th century. As you can probably guess from all the white stuff in the photo above, we weren’t able to explore the gardens but easily whiled away a couple of hours in the main building. 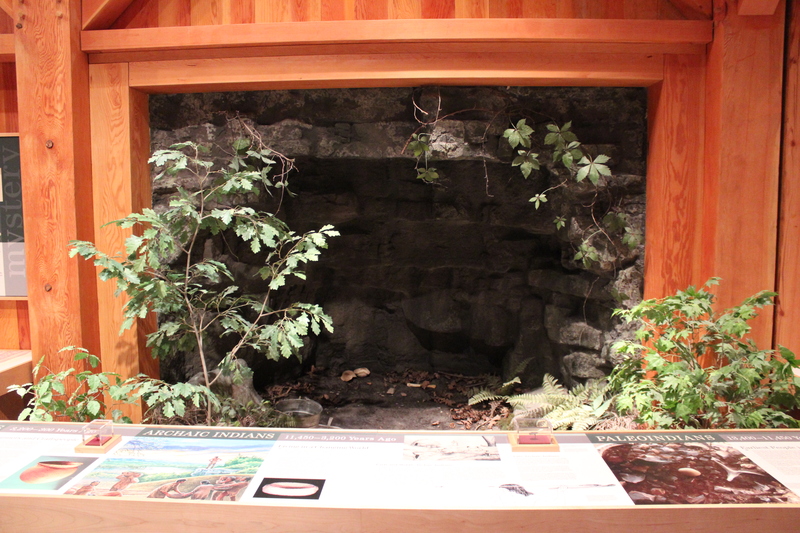 A shelter typical of those used by the very earliest inhabitants of the Shenadoah Valley. Fortunately the shelters improved somewhat as the years went by. 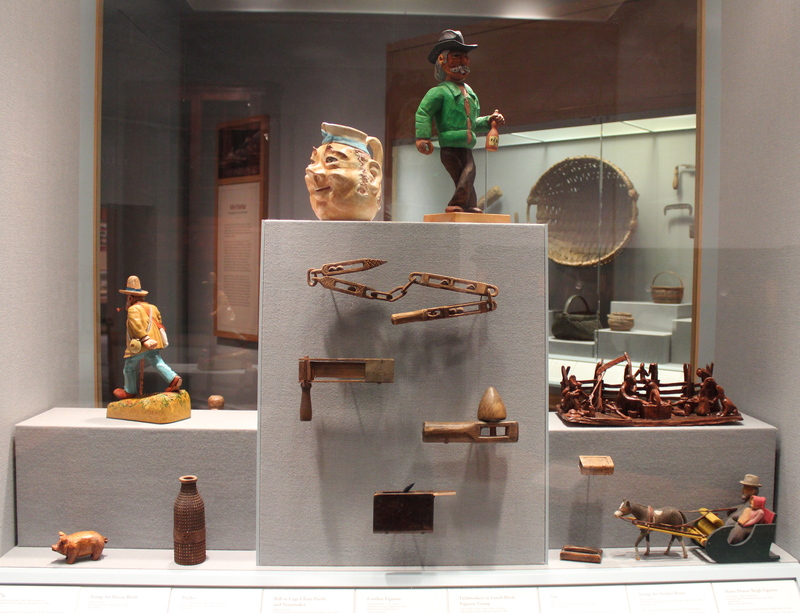 Examples of Shenadoah Valley folk art. 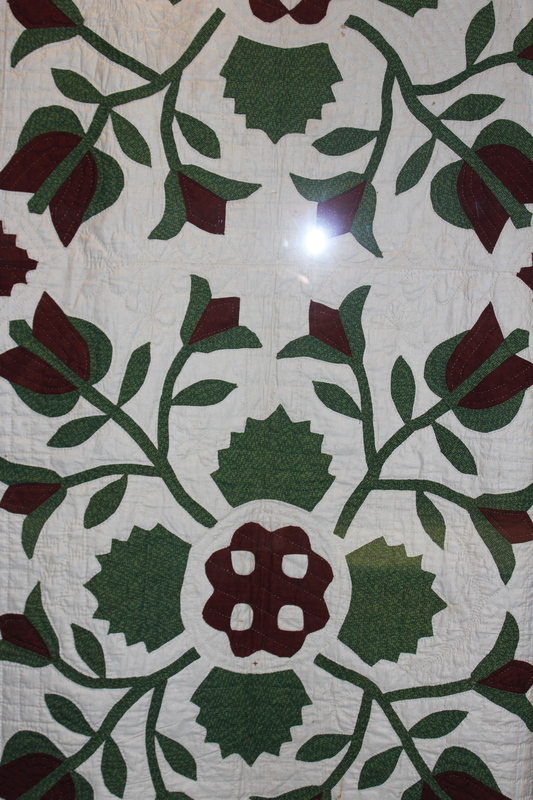 I really enjoyed looking at the many quilts on display – some of which dated back to the early 1800’s. 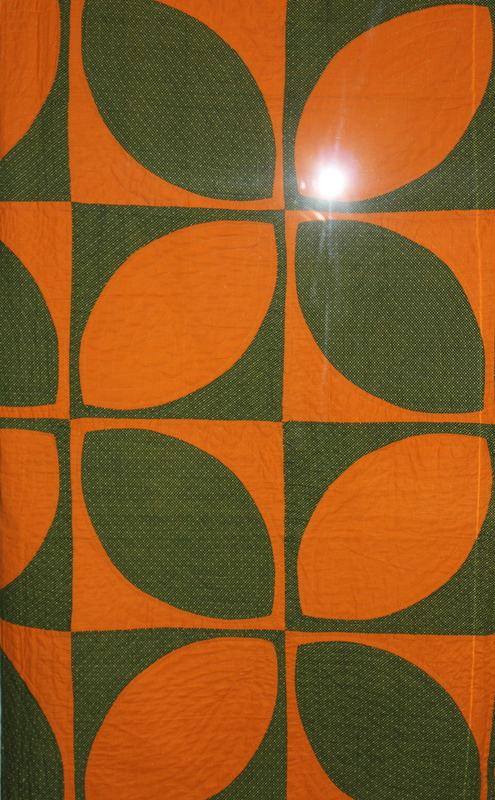 The orange and green Orla Kiely-esque one pictured below, was inspired by the peeling of an orange! 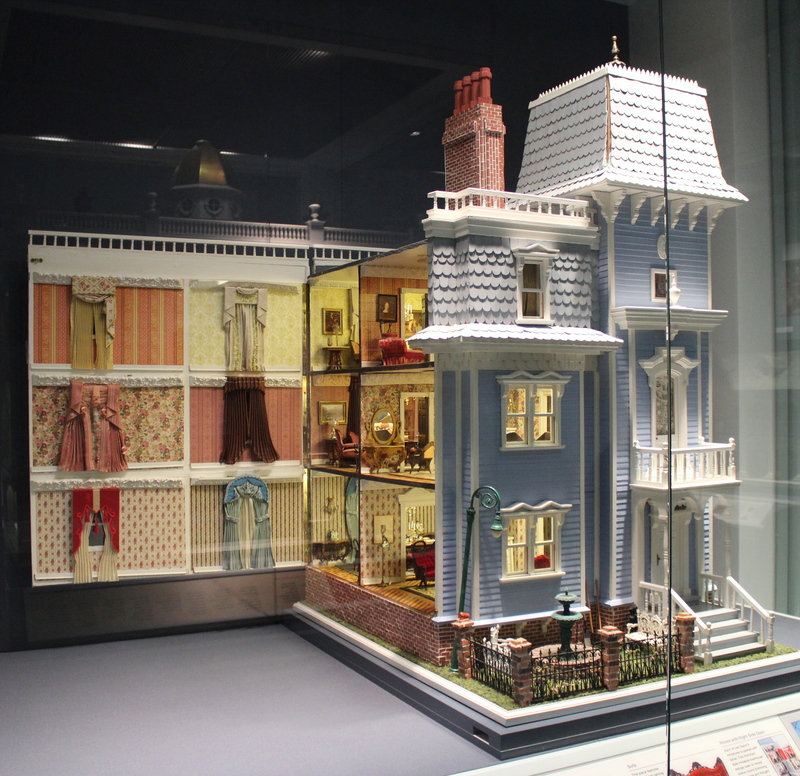 Olive and Edie’s favourite part of the museum was the miniatures gallery where we viewed an amazing collection of furnished miniature houses and rooms. They are part of a larger collection by R. Lee Taylor, who helped to create the gardens which we will return to visit in the spring time. As there were very few visitors at the museum, one of the guides gave the girls a private tour, pointing out all sorts of things for them to look at. They were thrilled, as were Richard and I as we got to look at the “boring” exhibits in peace! Just needs a teeny tiny family. 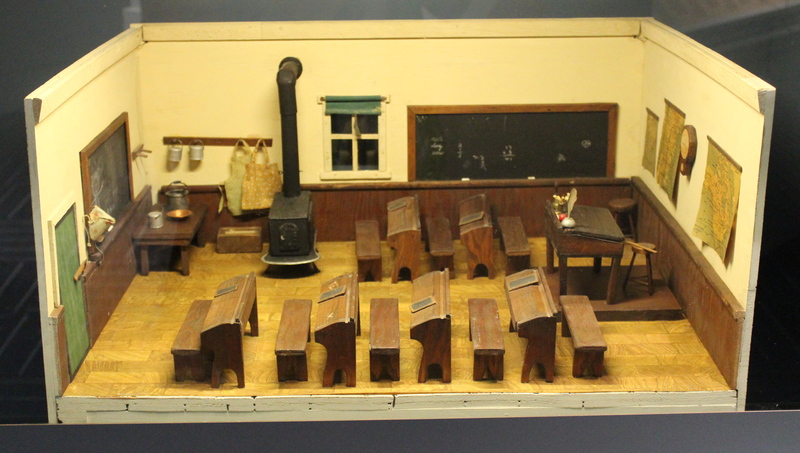 Olive and Edie were intrigued by this old schoolroom. 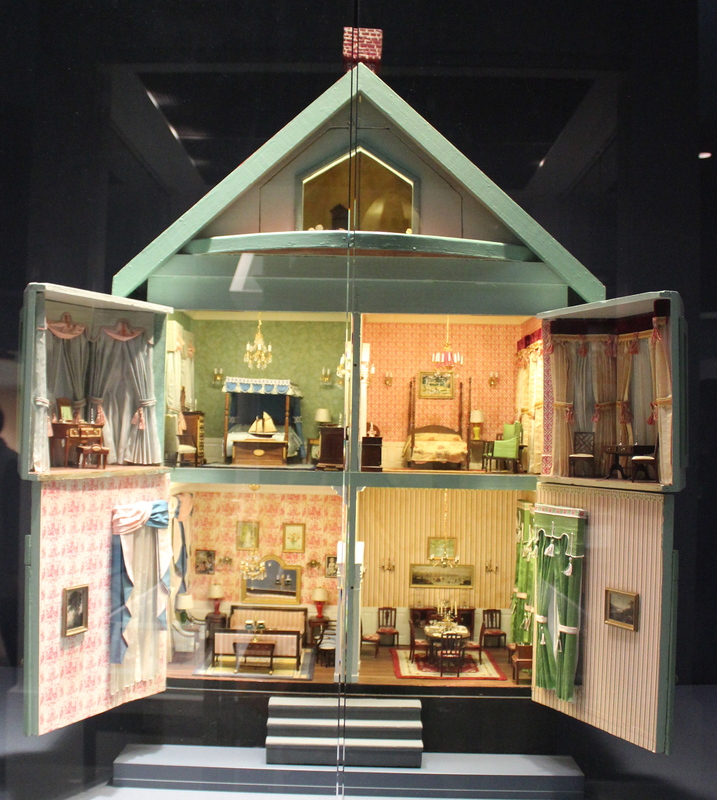 Barbie and Ken’s dream house perhaps? 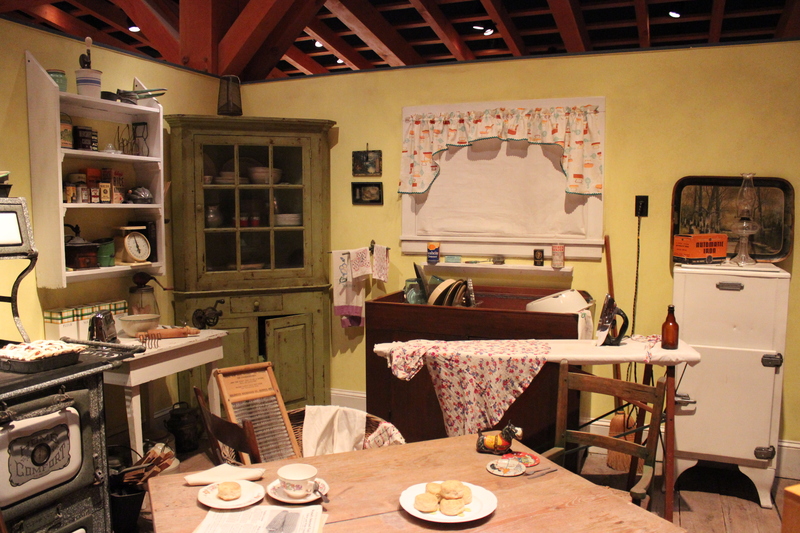 For a “small town” museum we were very impressed. The museum also offers many lecture series and programmes for writers, gardeners, artists, musicians…and many of the programmes are aimed at children and young adults. We took an annual membership as we expect it is a place we will visit often. We are heading into birthday season in our house as Edie, Richard and I are all approaching our special days. Edie is beside herself about becoming a big five year old – where has my baby gone?! – and I promise to post a full report about her celebrations. This weekend sees me embarking on a beginner’s quilting course. I am both excited and nervous. When I went down to the shop to choose my fabric today, I saw the piece of work I will be attempting to construct – gulp! 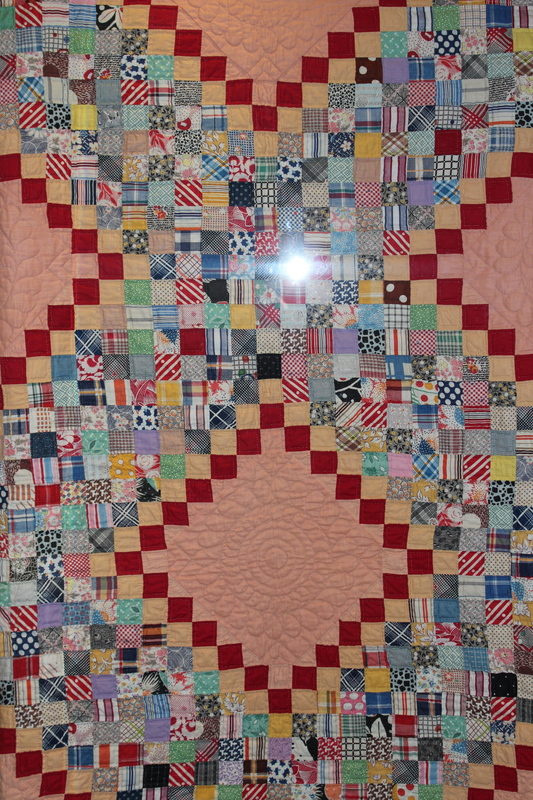 Keep an eye on my How to Make An American Quilt page where I’ll keep you posted on how I’m doing. Oh my gosh indeed where did your baby go! 5 already! I do feel like I missed out with Edie not being in my class, she is such a wonderful girl. Wish her a very happy birthday from myself and all her friends that are now in KG2. Of course I also wish you and Richard a happy birthday and good luck with that quilting stuff. Although I am very creative, I must stay far away from needle work. Still traumatizes by a little sewing patch I got for my 11th birthday. My sister’s looked amazing whilst I never finished it and can’t remember how many times I got frustrated with the wool just not doing what I wanted and coming off my needle. So no thanks not for me, but hey you enjoy! do well Chris with your quilt think of all the lovely sewing and embroidery you have done in the past this is a craft that needs to be passed down through the ages. I am lucky to have on our bed a quilt that I purchased at the Ghurka Wives’ Market when I lived in Hong Kong which I treasure.